A diamond's color grade actually refers to the absence of color. In other words, diamonds that are white, containing little or no color, receive higher quality grades than those with noticeable color. A chemically pure and structurally perfect diamond has no hue, like a drop of pure water, and consequently, a higher value. 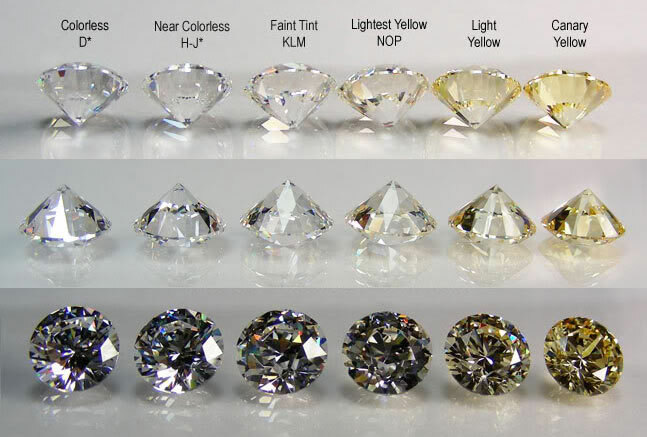 A D-to-Z diamond color-grading system measures the degree of colorlessness by comparing a stone under controlled lighting and precise viewing conditions to master stones, stones of established color value.